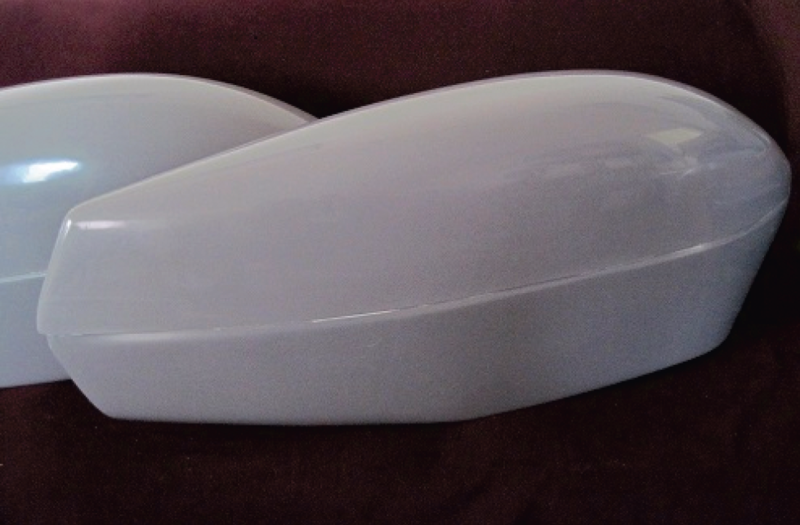 An exact duplicate of the Cessna late model LH & RH main fairings, they are built of exceptionally strong fiberglass. They are easily repairable in the field if they are damaged in an accident. These smooth the air flow around the sides and underneath the wheel assemblies more than earlier models which tended to have a scoop like design. They are furnished with round push-in nylon plugs for access to the air filler on the tires. These wheel fairings generally add 2 to 3 MPH more than the old designs. Fits standard 600 x 6 tire. Fiberglass replacement Main Wheel Fairing 2 hours install each.